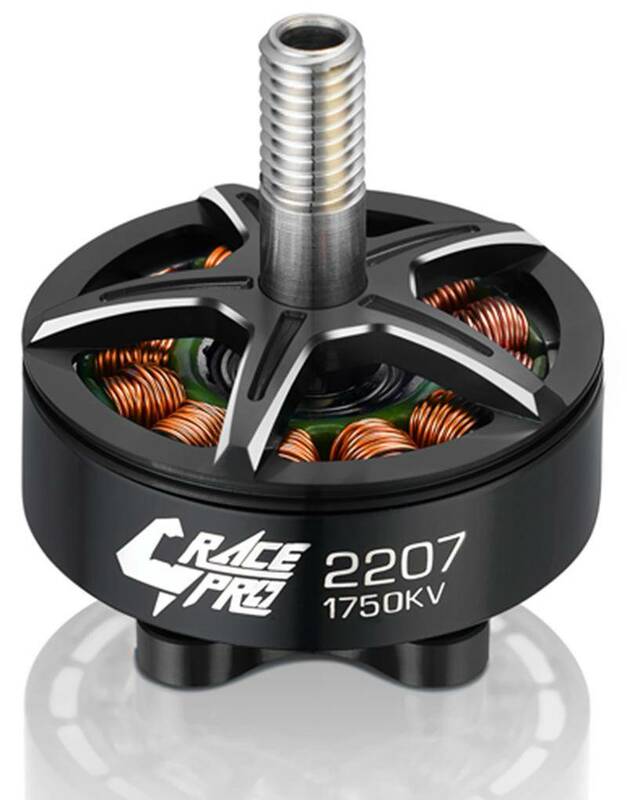 * Create for SPEED: The Hobbywing Xrotor 2207 Race Pro Motor has been designed for the top levels of competitive FPV racing. Engineers have spent time working with top pilots to repeatedly confirm feedback. 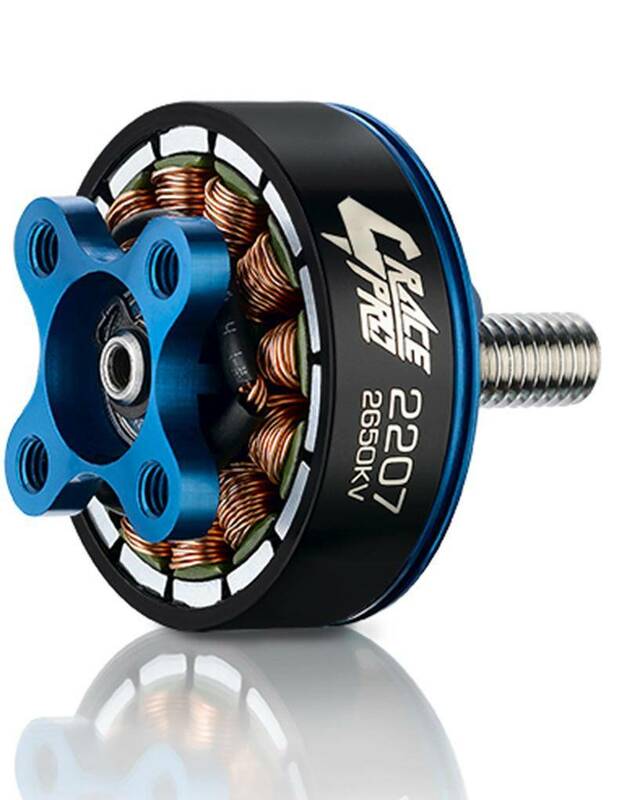 These motors have been finessed to provide extreme power, with rapid response to throttle commands. Testers were surprised by the ultra smooth, and precise response through all speed ranges and course conditions. * High quality 7075 aluminum, and high-precision CNC Machining technology produce an improved strength and axial concentricity. 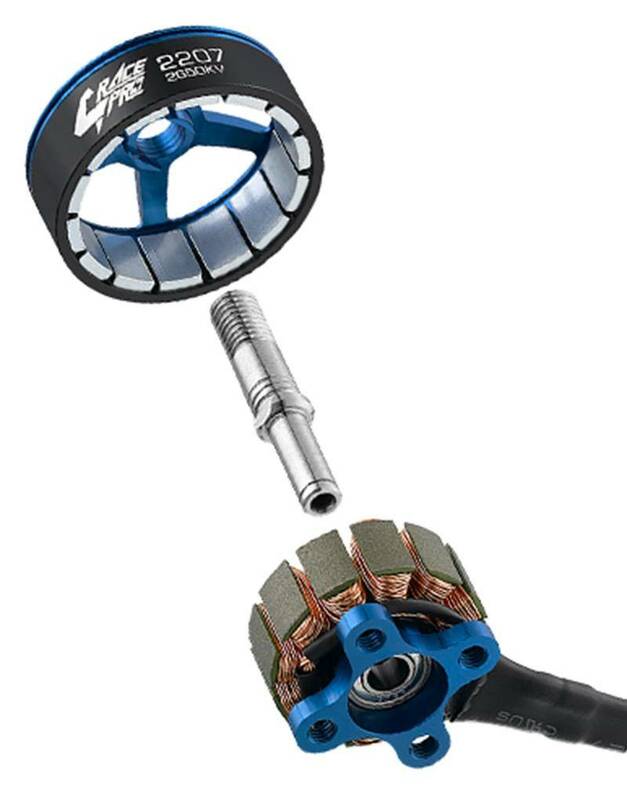 * The hollow Titanium-alloy shaft reduces the shafts overall weight by 50% compared to standard motor shaft designs. 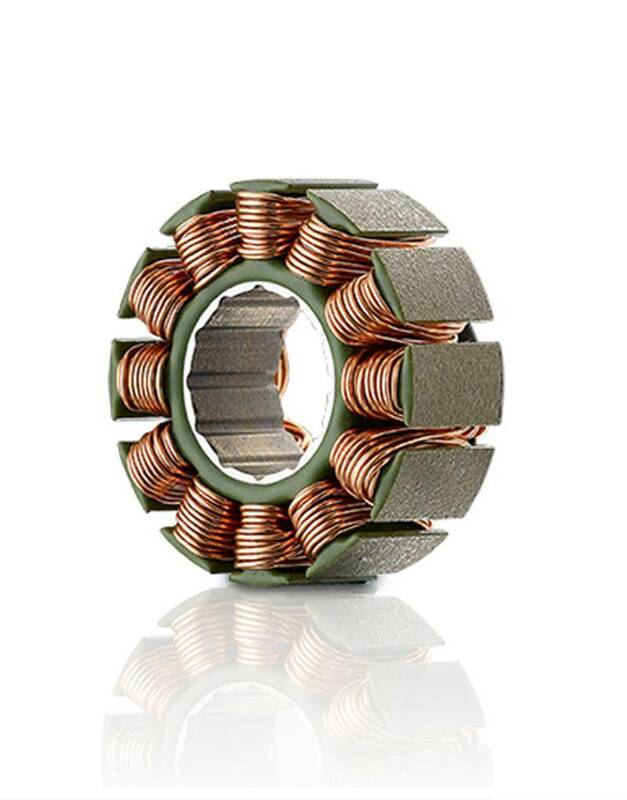 * The EZO bearings are high-quality Japanese bearings are the best available, providing longer life, lower noise, and improved overall tolerances. * Ultrathin(0.1mm) Silicon steel laminations are used to manufacture the stators. This high-quality material improves overall efficiency.